AMBER Molecular Dynamics is a programs that allows users to carry out and analyze molecular dynamics simulations. AMBER offering set of molecular mechanical force fields for the simulation of biomolecules (these force fields are in the public domain, and are used in a variety of simulation programs). Future Micro Technology is a provider of AMBER optimized GPU Workstations for Molecular Dynamics and develops turnkey NVIDIA solutions to provide value-add systems for GPU accelerated Molecular Dynamics simulations. 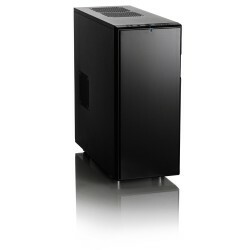 AMBER Optimized i97900X Dual NVIDIA GPU Workstation built for Molecular Dyn..